Modern technology convergence equips ordinary people with the basics to engage in video conferencing. Users can utilize the two most popular email and live chat providers Yahoo and MSN to set up simple video conferencing their softwares. People can call, talk and watch each other – regardless of location – and communicate in real time. This can simply be point to point (between two people) or multipoint (more than two at different location) communication. 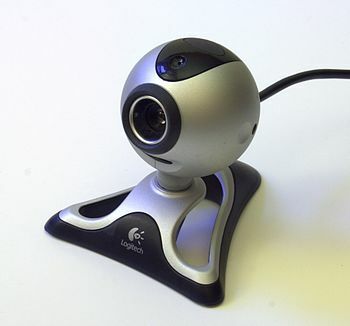 Hardware requirements are simple such as a computer, web cam, microphone, and a broadband connection to participate in videoconference. People can participate in natural and normal conversations – they see and hear each other. What started out as a simple enhancement to the popular Instant Messenger and yahoo Messenger chat software is now becoming an indispensable communication tool for the corporate world as well due the enormous cost savings. People can now attend to business activities and meetings with clients and business associates in the comfort of their office or home, eliminating the requirement to go to another place simply to discuss an important matter. It also removes the anonymity of the basic telephone conversation since it enables face-to-face meetings regardless of distance. The cost of setting up a video conferencing is definitely a lot less than the costs of travel and hotel accommodations. Videoconferencing is undeniably an easier way to conduct meetings and interviews and give lectures and address employees located in other parts of the country or the globe. Some big corporations, including educational and medical institutions have set up their own conference rooms with dedicated video conference terminals to enhance their communication capabilities using dedicated hardware and equipment fully equipped with control systems, document viewers, overhead cameras, vision switchers and slide viewers complete with compressor and decompressor interface. Dedicated hardware makes it easier to transmit large files of information and data, regardless of type, over the net. Video conferencing is proven to be a reliable and an excellent method of communication. It allows you to connect not only with other people but also with other companies. For the true e-commerce entrepreneur, it allows you to run your business in your locality and connect with suppliers located on another state or another part of the world with simplicity. It completely eliminates miscommunication since you talk face-to-face, and nuances of speech and facial expressions are visible. Video conferencing guarantees a bright future for your business because it keeps you up to date on any critical information that may affect your business on a real-time basis. It is affordable and simple that not having the capability may be compared to committing suicide, business-wise. Almost everyone is familiar with video conferencing today, and for good reason. Video conferencing is convenient. Video conferencing saves money. Video conferencing makes money. And it is so much easier than it used to be. I know because I installed one of the first video conferencing systems for a former employer when I ran the information systems department of a large company. In those days that meant a very substantial investment in equipment and installing a dedicated ISDN line (that was when 56kpbs was considered blindingly fast!). At first it wasn’t easy to convince people to sit in front of a 25-inch TV for a 30-minute video conference instead of traveling and giving up those nice travel reimbursements, but soon they realized the many benefits. The rest is history. Today, of course, video conferencing has become part of doing business. There is no longer a need to waste time and money traveling, and the technology has advanced to a point where there is a solution for every conferencing need. Audio, web and video all combine to provide cutting edge conferencing solutions tailored to anything from one-on-one to large conferences with Q&A sessions and private chat. There are even solutions specific to industries such as accounting, banking, insurance or legal. Why is video conferencing so successful when other technologies have come and gone? Because it is convenient and cost-effective. At a time of skyrocketing costs for gas, air travel and hotel accommodations, conducting video conference meetings makes more sense than ever. And in addition to saving time and money, video conferencing from one’s office or board room is a lot less stressful than a meeting after a day of hassling with cabs, airport security, delayed flights and bungled hotel reservations. But cutting edge conferencing has grown beyond mere time and cost savings; it has become a business opportunity and strategic advantage. Conferences can be recorded and made available for call-in playback. Moderation tools allow for large conferences with operator services, toll-free audio call-in and unique PINs to track attendance. For especially important calls, conferencing companies and service providers can assist for a professional touch, making sure that everything goes right. The sky’s the limit when it comes to new and exciting uses for web casting and video conferencing. We’ve seen new product announcements using the technology, reaching far more potential customers than conventional press conferences. Webinars provide new ways of training people or making sales presentations. And today’s office tools can easily be integrated into a conference. Sharing PowerPoint presentations, documents and even applications is easy, as are multiparty video and virtual whiteboards. Best of all, video conferencing no longer requires a large capital investment. Web, video and audio conferencing service providers can quickly get you up and running, often without setup fees, steep per minute charges or pesky contracts. With all that’s available today, the question is no longer if a business can afford professional, cutting edge video conferencing, but whether it can afford not to use it. In the market today, there are so many vendors that offer almost all kinds of video conferencing equipment. Majority of them—if you’re a techy and are knowledgeable about IT stuff—are of high quality and can be compared to those that are made by more popular vendors. However, not all of them offer quality products so you have to be really careful in choosing and buying your video conferencing equipment. Another important video conferencing equipment is a web camera. If you have budget, opt for Logitech web cams because these are ideal for any monitor size and laptops screens. Good choices include QuickCam® Pro 5000, Logitech QuickCam® Ultra Vision and from QuickCam® Pro 9000.